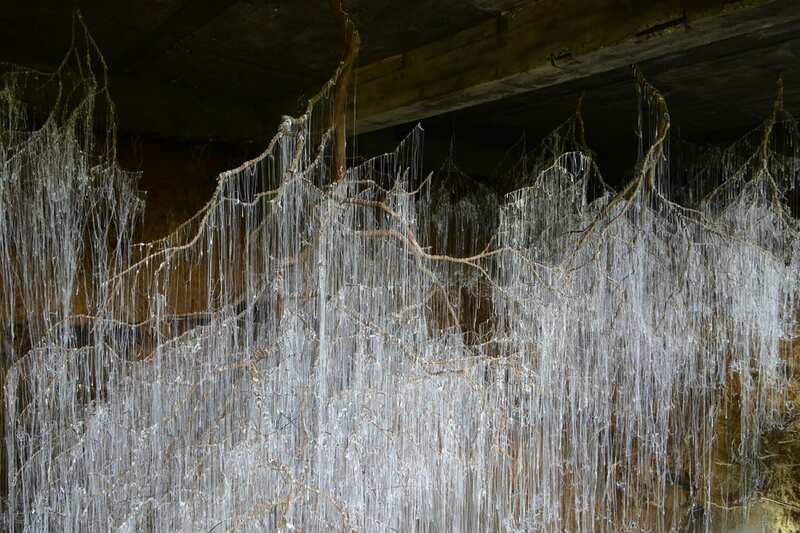 His installations are created using tree branches or wire, hot glue and urea. 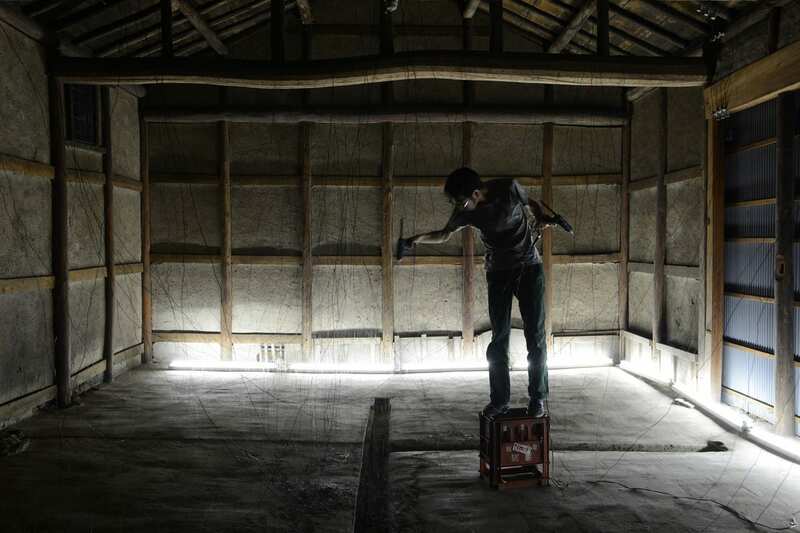 While his installations are neutral they are colored with imagination. These large spaces are activated by participants who are displaced from reality and take a journey into an alternative world. 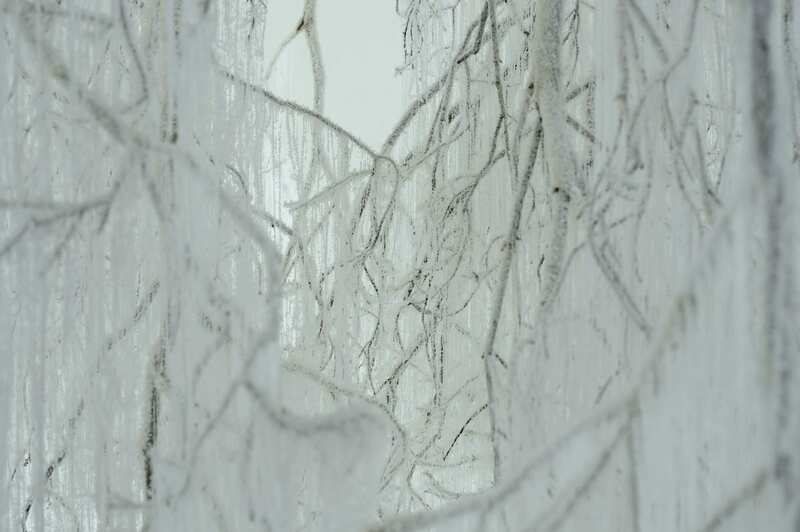 Installation Magazine: Why did you start using tree branches and glue? 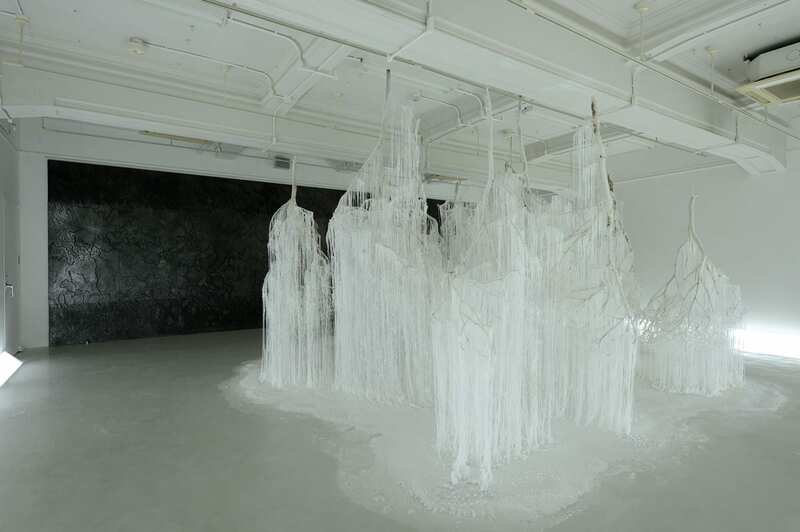 Onishi Yasuaki: I was creating installations using “reverse volume” before. The creations resulted in floating shapes reaching for the sky. In my new work, I try to connect the floating objects to our ground. 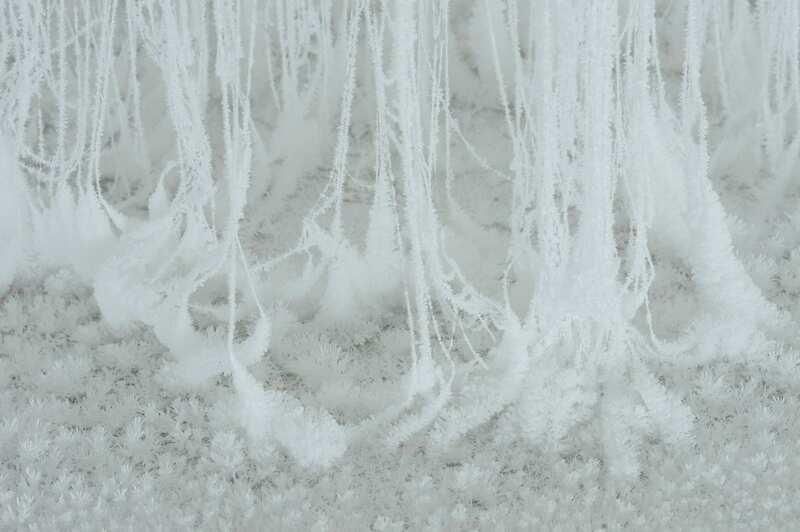 I explored new materials, the dripping glue creates a vertical line using gravity and it’s shape is maintained as the glue temperature cools down with urea. I simply made a vertical line through the organic tree branch. Do your materials have a particular meaning for you? 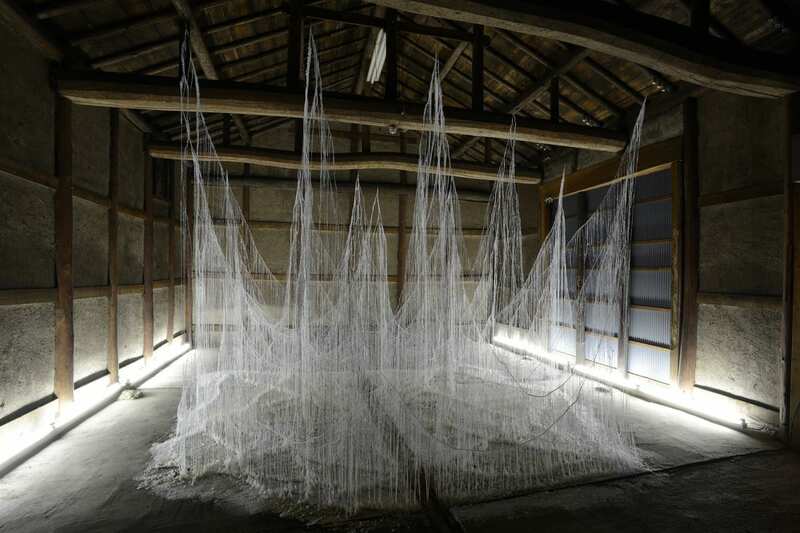  Archived in Uncategorized and tagged Discover, Dreamscapes, glue, Installation, Issue 34, Japan, Onishi Yasuaki, Video Feature. Bookmark the permalink.